Kids Thoughts Captured - Let's record it OneDay at a time. I love how moments can be captured so beautifully in a photo or video, and I'm so thankful to OneDay today, who is sponsoring this post and helping me create memories with my family that will last forever. 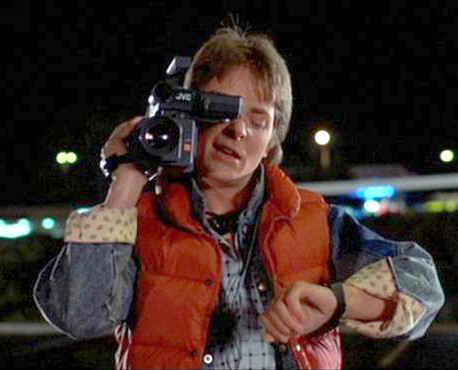 Remember when your parents used to pull out that big honkin' video camera... mostly at Christmas time and birthdays, and then record everyone doing mundane things or being completely obnoxious in front of said camera, all just to really capture the few important moments that really mattered in that day? Oh man... technology has come so far. ha! Fashion on the other hand...? Batteries that never lasted longer than an hour or so, sore arm, perma-ring-around-the-eye... but guess what? We all go back and watch those old videos now, and admit it... YOU LOVE THEM! And most of the stuff that we end up laughing hysterically at or remembering forever, are the goofy questions asked AFTER the candles have been blown out, or the presents have been unwrapped. It's the silly little thoughts shared by a passing kid and the random crazy brother in the background making funny faces that we cherish the most. Am I right? All of this being said, I only WISH I had taken more videos of my kiddos when they were small. They just grow up SO fast, and you don't realize in the moment how precious and perfect they are in that very specific time of life. 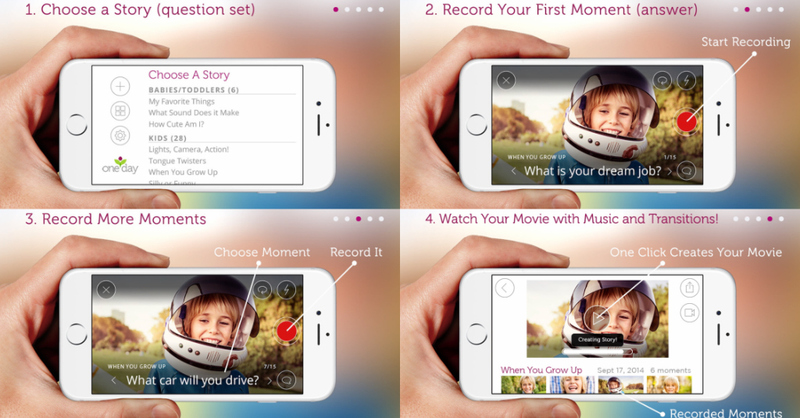 LUCKILY though, with all the crazy-awesome technology we have now, capturing video is a breeze, and I've found one of the cutest, easiest, FREE apps to help me do just that - OneDay. It's an instant movie maker that you literally need NO editing or video skills to operate, because it does everything for you! There are lots of different story sets and questions that you can ask your kiddos to get them chatting away, and then once their answers are recorded through the app, OneDay stitches the video clips together, adds music and makes it an adorable video! You can make up your own questions too, which is pretty great, because then you can customize the video clips for birthdays, anniversaries, weddings, etc. Because Cason and I are working all day and the girls are in school, I've set the notification function in the app to alert me at certain times, so that it reminds us to take video during the moments we're together. I flippin' love this feature! Mostly I just do a clip or two in the morning before school, or at night, and then save them to stitch a whole video together later. Her poor future husband! #ihavecreatedamonster ha! Seriously, you've GOT to download the OneDay app, it's quickly becoming one of my very faves. It's totally FREE, so all you need is a few minutes to make a short clip or video of your own, and then you're makin' movies like a pro, yo! Tell them to start development for Androids! I LOVE this idea! All ready downloaded - thanks so much!! I'm assuming it adds the music too? Can the videos be exported to a computer? Or do they only forever live in your phone/app?